Well, my passion for entrepreneurship led me to launch my eco jewellery line Chic Made Consciously shortly after my backpacking trip through Asia. 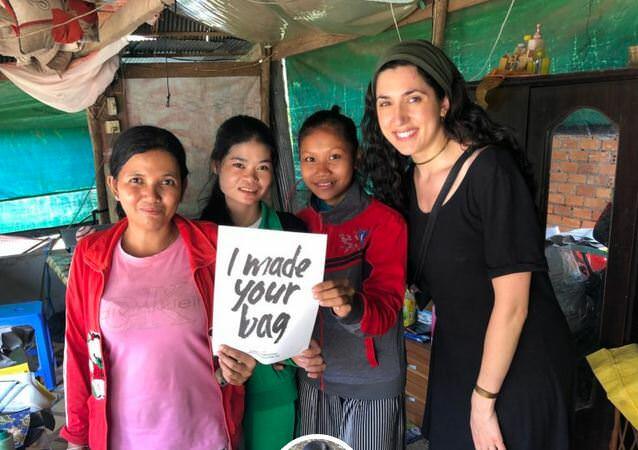 Later in that journey (after Cambodia), I connected with an artisan group called Art Cycle Bali, who was repurposing tires into gorgeous fashion accessories. I was driven to start a business importing their beautiful handmade and fairly traded goods to North America and help their local artisan community. This week is Fashion Revolution Week and today is the fifth anniversary of the Rana Plaza building collapse that killed over 1,100 people and injured 2,500, most were garment workers working in factories that manufactured clothing for the Western market. Anyway, I encourage you to think, connect and ask yourself questions about who you’re buying from, asking yourself “Who Made My Clothes”. We all play a role whether we choose to believe it or not. 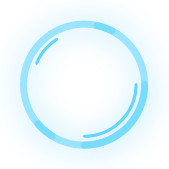 Customers like you buy from brands like mine and in so doing, we continue to supply these developing nations with a sustainable income and offer marginalized people dignity through work. Maybank last Saturday started its new child sponsorship programme in Cambodia. Around 52 underprivileged children were provided with opportunities to pursue their education as a way out of poverty. The sponsorship program entailed a monthly funding allocation to cover basic food and school support as well as special regular engagement sessions with Maybank employees. “The Maybank Child Sponsorship programme resonates strongly with our role as a responsible corporate citizen. This programme, now in its sixth year, has proven to be a great success in fulfilling our commitment in empowering the communities in which we operate, to improve lives and contribute to the betterment of society in a sustainable and impactful manner,” said Chairman of Maybank Cambodia, Dato’ Johan Ariffin. In addition to the child sponsorship, Maybank Cambodia will also be providing various forms of support to other students studying at the PIO Stung Meanchey School. PIO is an organisation which runs three schools and an orphanage for children who seek a living in garbage dumps or collect garbage around the streets of Phnom Penh. It also helps marginalised children deprived of the opportunity to access to education. Koh Dach, also known as Silk Island, sits on the banks of the Mekong River, upstream from Phnom Penh. As the Western version of its name would suggest, it has a rich tradition in silk production and traditional weaving - in particular the creation of krama - the iconic, multipurpose scarf that's practically a national symbol in Cambodia. Handwoven from either silk or cotton, krama date back to at least the Angkor period (802 to 1431AD), and Cambodians will proudly tell you there are more than 50 uses for them. And it was the krama that provided a solution for Cantabrian Rebecca Parnham, who, having travelled to Cambodia in 2010, had been looking for a way to support women in need in a country still rebuilding after decades of civil war, genocide and poverty. After an initial year or so involving a "huge amount of work", things have now settled into place for Krama & Co, and the brand has also just had a further boost, being picked up by ethical and sustainable retailer Tonic & Cloth. "That's really exciting," says Parnham. "They are exactly what we're about, they're all about empowering women as well, all of their clients care about that already, and it will pretty much double our reach." Great story about positive action against poverty. Got some New Zealand paua shells which are used to make jewelry. They are renown for their brighter colour over other type of shells. Anyone know a handicraft person that would like them for free. Anyone have any recomendations for ethical investments?